Remember when Uber was adamant it didn’t need a permit to put self-driving cars on the road in California? Well, you might say Uber just performed a U-turn! (Please, hold your applause.) The Mercury News reports that Uber will apply to the California DMV for a permit to operate its self-driving vehicles after all. The California DMV told the Mercury News that while Uber hadn’t yet submitted its permits, “the DMV is providing assistance with the steps necessary to apply for and receive a test permit.” In an email to Gizmodo, a spokesperson for Uber confirmed the news. “These cars are legally registered and are being driven manually. We are taking steps to complete our application to apply for a DMV testing permit. As we said in December, Uber remains 100 percent committed to California,” the spokesperson said. The decision is quite the reversal for Travis Kalanick’s baby. 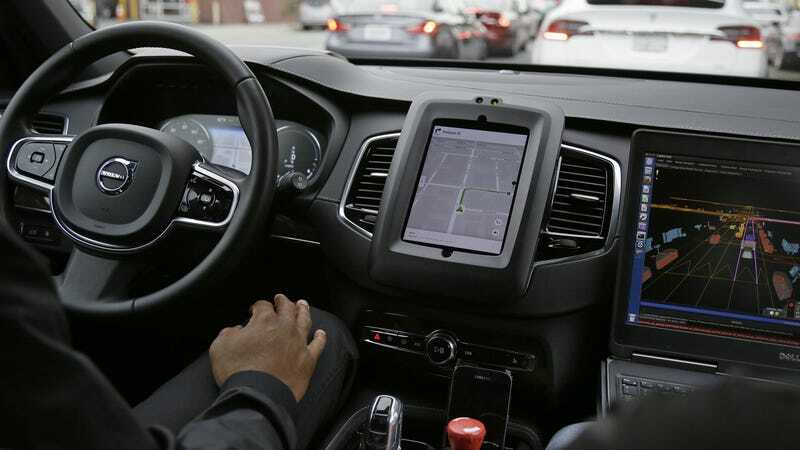 Back in December, the company announced it would start operating self-driving cars in San Francisco, and even posted a blog claiming it had “looked at this issue [of whether it needs a permit] carefully” and decided it didn’t need a permit to operate the cars. Lo and behold, a week after it said it would stamp down on Uber, the DMV made good on its promise and revoked the vehicle registrations for the self-driving cars. Uber finally backed down, confirming it had suspended the program, (though not before it decided to open a similar shop in Arizona). Now, however, it appears it has decided to play along with state officials. Among all of Uber’s other heaps of bad news—ranging from allegations of sexual harassment to a video of CEO Travis Kalanick berating an Uber driver—the self-driving car project has been giving it special grief. Waymo, the autonomous vehicles division of Google, is suing the company, alleging that Uber executive Anthony Levandowski—who coincidentally authored the blog post quoted above—took proprietary and confidential information with him when he left Waymo. We all hate going to the DMV, but sorry, Uber—you just gotta do it.